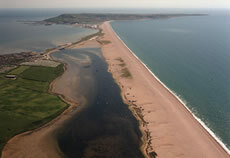 The Fleet Study Group (FSG) is a voluntary association that was established to study and advise on the many different and unique scientific aspects of the Chesil Bank and the Fleet Lagoon, comprising of members from a wide range of backgrounds. The identification of gaps in our knowledge and suggestions for future research. The consideration of environmental effects of natural and, especially, man-made change. The current chairman of the Fleet Study Group is Ed Harland. For a more detailed look into the work and history of the Fleet Study Group simply click the button below.